Raised by musicians, TNEM has been immersed in music since birth. With an eclectic musical education, he has been a successful hip hop and electro producer for the past ten years and is also a renowned sound designer for cinematographic and commercial projects. Always searching for new musical adventures, TNEM has recently been exploring ambient vibes and delving deeper into the world of electro music. 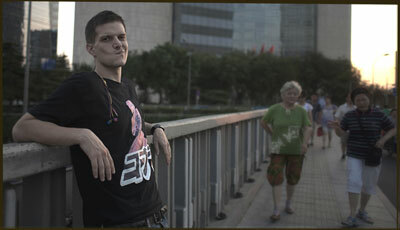 Thanks to his creativity and the use of his own remixes and production, TNEM is also a popular DJ in Asia. A fixture in both local and foreign scenes, TNEM never fails to surprise with the originality and quality of his productions and appearances. As Boopy's friend, TNEM also is passionate about the environment which has inspired him to compose a dozen pieces which allow us to explore Earth with lightness and determination. A relaxing flight over our blue planet accompanied by children's laughter and the sounds of nature. 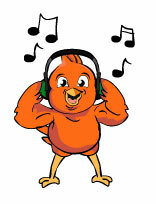 Join Boopy to discover music of the world celebrating children, nature and the planet. You too can send your compositions and video clips to share your passion for the world... in music!